Absolutely fantastic stay and will be returning! Great! Not enough time to enjoy the facilities! It's always a pleasure to stay at Sofitel Grand Sopot, a big thank you goes to all the staff, the entire personnel starting from the concierge, receptionist, the cleaning lady's at the floors, the waitress and all the others who worked behind the scene to let you feel like a King. Special thanks goes to the entire staff of the SPA in particular and hope that I'm not making a mistake with the name goes to Olga for the ELEMIS Freestyle Deep Tissue Massage, it was miraculous. I'm looking forwards to come back soon. Visited for business. Everything you can expect from Sofitel: amazing service, spacy room, perfect location, comfy beds and pet friendly :)I booked the Luxury Room with Park View and 1 double bed. It was located in the West Wing, far away from the lifts and was very quiet despite facing the street. Taking into account all of the factors I can strongly recommend this booking. However, the noticable wear and tear of the room should be fixed. There were stains on the (cracked) bathroom walls and some of the modern furniture had varnish that peeled off. Given the price and brand expectations, I'd expect not to see such low maintenence, hence only 4 stars overall.To sum up, it's a great place to stay with everything that Sofitel stands for, and I hope that the room wear & tear will be fixed. 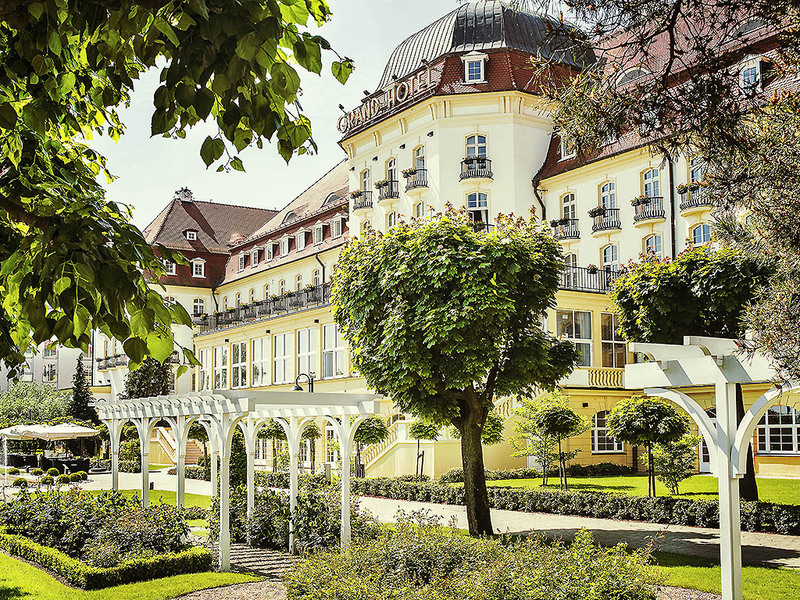 For now I'd say the other Sofitels in Poland set a better example, but it is still a solid choice for a weekend trip in Sopot. Dear Mr. 901bartoszs, We very much appreciate your comments regarding your stay at the Sofitel Grand Sopot. It is always a pleasure to receive positive feedback. I will share your comments with our team. I am sure that this feedback will serve as an encouragement to all of our staff as we strive to continuously improve the quality of our services. Thank you again for sharing your experience, and we hope your next visit will be as pleasant as the previous one. Sincerely, Adam Stempniewski Guest Relations & Concierge.